Crucible Gooch Type With Sintered Disc Of Porosity G-0 0r G-1 0r G-02 0r G-03 or G-04. Porcelain glazed outside and without lid. 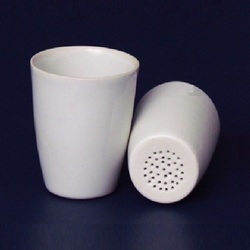 Gooch Crucibles, Chemical-porcelain ware. Used for total suspended solids determinations. Perforated bottom. Glazed inside and out except outside bottom surface and rim. Limit of use, 1150°C. Without cover. 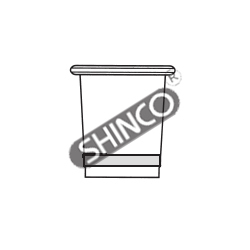 Our firm is providing a quality range of Gooch Type Crucible. In addition, our presented products are available in varied specifications. Banking on the skills of our qualified team of professionals, we are involved in providing high quality range of Gooch Crucible.